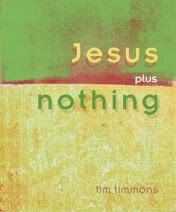 JESUS PLUS NOTHING: "JESUS PLUS NOTHING"-THE BOOK! FOR AUDIO VERSION CLICK HERE. 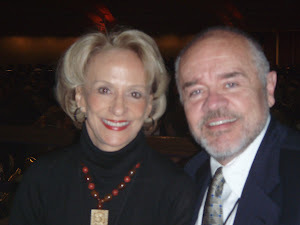 We have been embroiled in the process of writing a book we call JESUS PLUS NOTHING. It's not only a book; there will be several study guides for individuals and small groups to focus on the teachings and principles of Jesus. I read every book that is published on Jesus and have found them all to be filled with Christianese and, at best, Jesus light. We have come to see and understand that Jesus can and must stand on His own. Jesus alone is enough and needs nothing else to make a significant difference in a person's life. Jesus alone is enough. As Jesus puts it: "Without me you can do nothing." Now, Jesus either meant that or He didn't. "Without me you can do nothing." This understanding and appreciation of Jesus doesn't occur just by hearing someone teach on it or even by reading a book on it. It takes lots of time to get to know Jesus and then to trust Him to be all He is and can be in your life. The beginning of the book, JESUS PLUS NOTHING, is of necessity my personal story. It's my story of being addicted to religion, particularly Christianity. My addiction was bolstered by my strict, Christian upbringing, my Christian College and four-year graduate seminary experiences, the founding of one of the early mega-Churches, publishing ten best-sellers, knowing the lingo of Christianese and a full store-house of Biblical knowledge from the Greek and Hebrew. THEN, Jesus apprehended my heart in a dramatic way and for the first time I became serious about answering his revolutionary call: "FOLLOW ME!" For the first time in my life I got to know this Jesus personally-the Jesus I only talked a lot about. JESUS PLUS NOTHING is not only my personal story; it is also a story of reconciliation. With the gap widening between Christianity and the other religious cultures of the world-Muslim, Hindu, Buddhist, Jewish, atheists and agnostics-JESUS PLUS NOTHING offers the only solution to this increasing alienation and illustrates how reconciliation has worked and is working in the world today. This is not about inter-faith or multi-faith solutions. It's not another peace plan for reconciliation! This is about Jesus! As I continued to write and interact with many around this country and in nations around the world, I was repeatedly introduced to men and women who are focused on being "Church planters" in the many cultures of the world. What I realized early was that JESUS PLUS NOTHING can be extremely helpful to those who are committed to planting or starting up new Churches around the world. What I realized was that no one in the early movement of Jesus "planted Churches." There's a better and more effective strategy for making disciples of Jesus in all nations. I recently spoke to a group of Church planters and called my talk: "Stop Planting Churches And Join The Jesus Movement!" It was surprisingly well received. Only one man had a problem with the approach I presented and he wasn't actually a Church planter. One of my dear friends in Africa, a man I've never met personally, was asked to speak to a group of Church planters from several African nations. He followed the same approach and was enthusiastically received. Jesus has a better idea than planting another Church. It's what I call the Jesus movement. As I shared yesterday, JESUS PLUS NOTHING is also a story for the persecuted Church around the world. Why is it necessary to continually read the sickening headlines of Christians and the Christian Church being persecuted-churches burned out, leaders threatened and tortured, and angry mobs within their communities filled with hate? Most of the persecution of the Christian Church around the world can be avoided today without diluting the message of Jesus! Jesus plus nothing else is so attractive and irresistible to people everywhere! Finally, JESUS PLUS NOTHING is a story for the turned off! Why are so many youth moving away from the tenets of Christianity and not returning? Why are so many Church members finding it more comfortable to be spectators and not participators? Why are more than 75 Churches closing each week in the US? People are either turned off or not turned on to what's going on. We're finding a wide assortment of people who are highly attracted to Jesus, simply Jesus. To add anything else to Jesus is to dilute who Jesus is and what He can do. JESUS PLUS NOTHING is all about getting to know Jesus and learning to follow Jesus with your entire being. It's a call to personal and global transformation. There seem to be three stages of following Jesus. FIRST-Jesus is followed because He is so flawless and attractive-unimpeachable. He is the one person who has truly walked the walk and the talk perfectly. No one argues with this. And the disciples believed in Him enough to follow Him. There is nothing wrong with this type of following Jesus at all. Anyone anywhere can begin to follow Jesus, no matter their belief systems. SECOND-Then as you follow this attractive Jesus, you will begin to embrace His lifestyle, teachings and principles and find them to be very practical and meaningful for your life. Following this Jesus just makes sense. THIRD-Finally, as you continue to follow this Jesus and find His teachings meaningful, you will at some point discover your Creator-God. You will experience transformation of your heart and your mind and see Jesus for who He is. This is why I am dedicating my life to doing two things. FIRST-I am doing one of the toughest things I've ever set out to do in my life; I'm trying to follow Jesus and embrace His teachings as my lifestyle. SECOND-I want to do whatever I can do to introduce Jesus and His teachings to as many individuals as I possibly can. This approach to life is summed up in an old phrase: TO KNOW JESUS AND TO MAKE HIM KNOWN. I encourage you to think about doing the same. This sums up what we mean by "Jesus Plus Nothing." Pretty astute post. Never thought that it was this easy after all. I have spent a good deal of my time looking for someone to clarify this subject clearly and you’re the only person that ever did that. I really appreciate it! I look forward to reading more from you! Thanks! I’ve been learning on how to add a custom page template but good thing I found this.